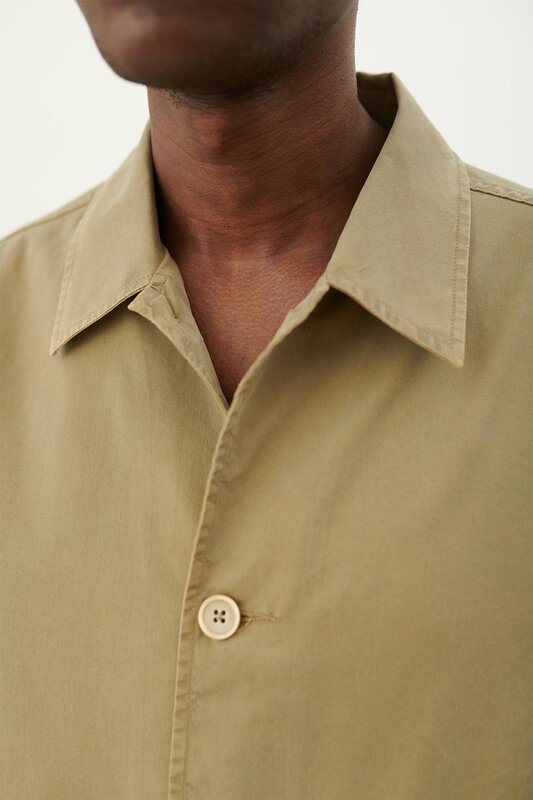 Our Puff Pocket Shirt in Olive Satin. 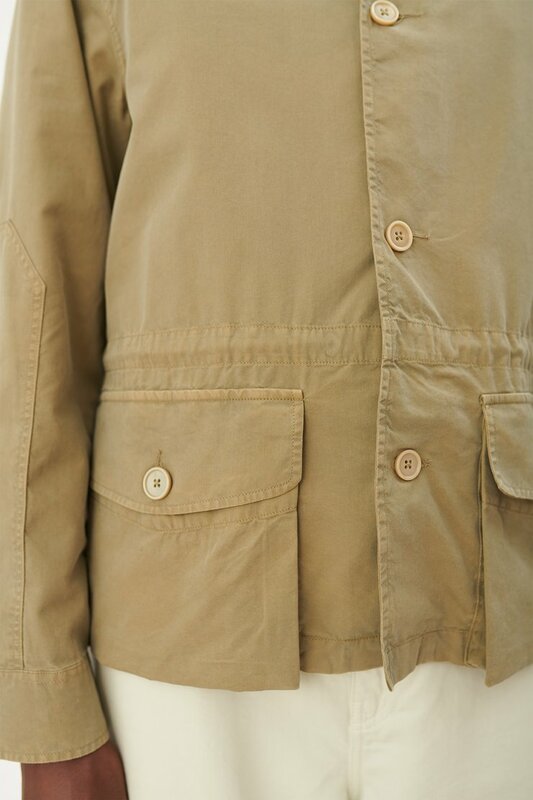 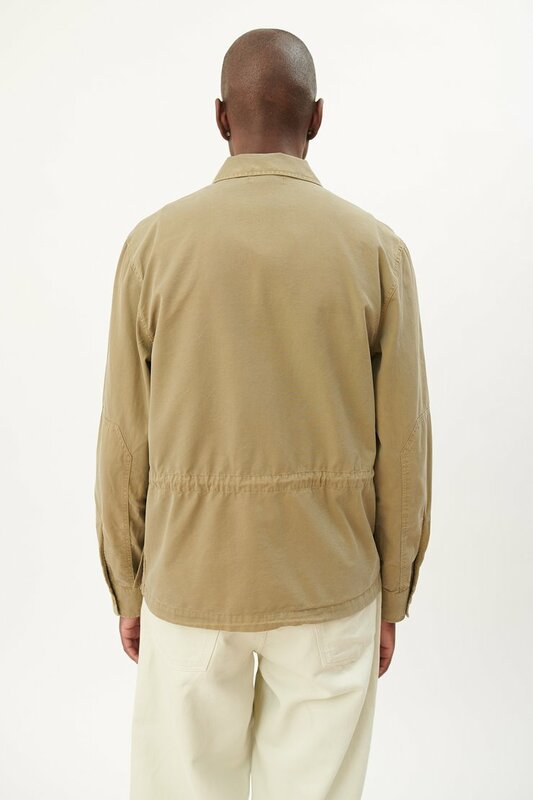 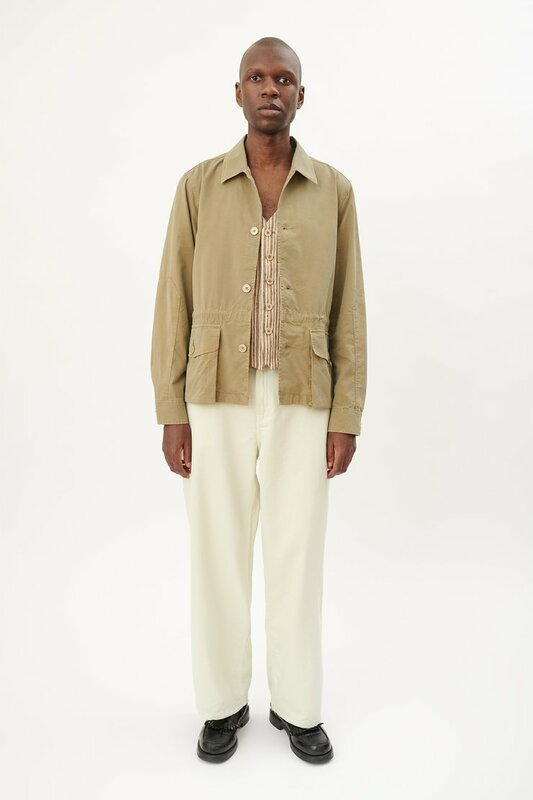 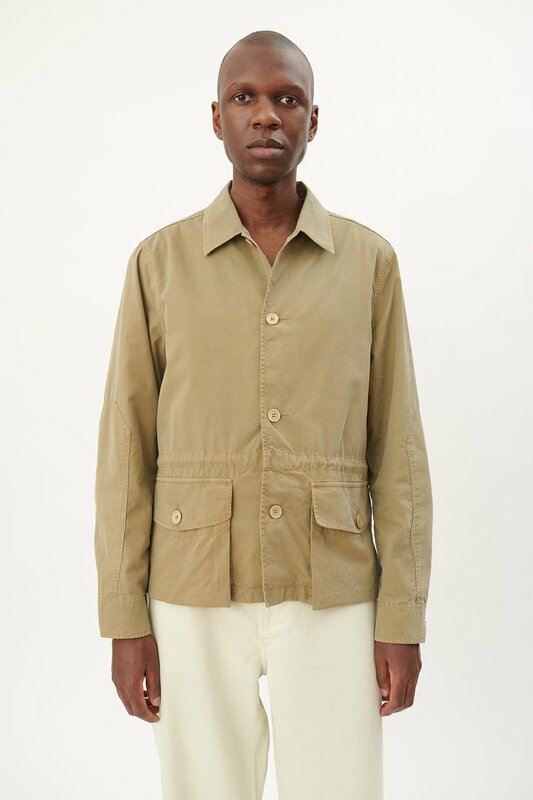 Produced in a Portuguese cotton and tencel blend fabric, the Puff Pocket Shirt features two patch bellow pockets with flap closure, a drawstring waist and large mother of pearl buttons. 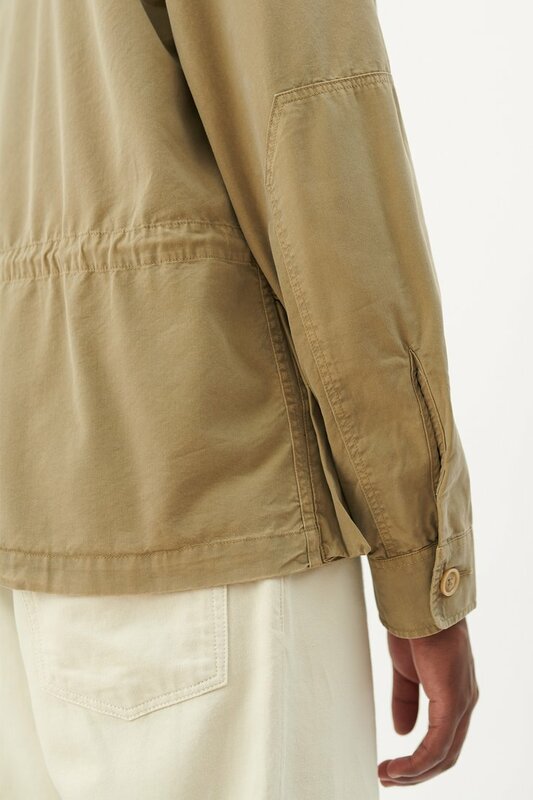 Our Puff Pocket Shirt is true to size with a relaxed cut. 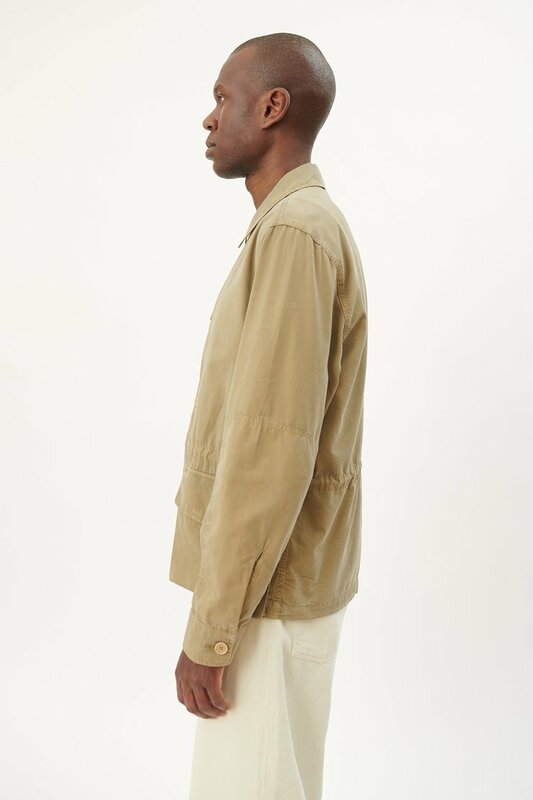 The model is 188 cm tall and is wearing a size M/48.